also add in for tourney play if the best of 3 matches it should be that loser can then switch characters however the winner cannot....we have this rule in smash and it makes it a lot more fair when playing so if you play a more experienced and knowledgeable person you dont get wiped 2nd round without putting up a fight. idk if it should include support. other than that looks good u guys want me to get some software for Bracket making? i have quite an excellent one laying around on my laptop i could share.. Think of this, if you choose an attack type with another assist, you basically have the perfect offense defense, without even having the need to attack. ESPECIALLY when you pick 2 attack types, you can juggle the opponent around and the ONLY way they can escape is if they KnJ the launching hit that causes strikeback. Anyways, heres an example, your opponent has an attack type plus a balance type. Think of this... their balance type is shikamaru. 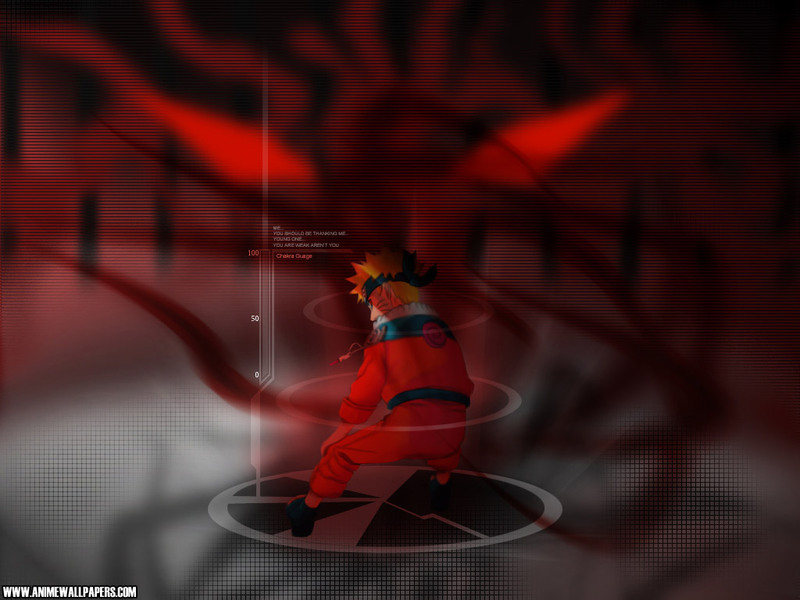 Shikamaru's chakra shuriken will guarantee strikeback if it hits, PLUS you have YOUR chakra shuriken to pin them down. Basically if you spam this, your opponent is a sitting duck being forced to block until you either run out of chakra, or their guard breaks and they get hit by shikamaru's tag, plus the strikeback of your opponent's attack type, which can lead into a free ougi. Almost the same thing with guard type plus attack type, but a little more complex. Basically all you need to do is stand there with your guard type defending you, while your attack type does all the work, and you sit back on the side lines launching your opponent. And sense really the only thing that goes through guard types is certain jutsu, certain ougis and chakra dashes, a ranged character is at a huge advantage with this set-up. Basically attack type is 100% the best support option, so we need to tone it down to 1 attack type only. Also, the tournament leaders can decide the length of the match rounds on their own discretion. I don't want to impede on them more than I have to. Chakra isn't limited by a long shot, it's very plentiful and easy to get back, the only time it isn't is when your fighting a Hyuga or Kisame after they've awakened. Itachi is banned because he is broken. He may be a fan favorite, but that doesn't discriminate from the tier list, nor the rules. Itachi creates an unfair environment because of his Awakening which gives him super powerful chains and an overpowered jutsu. Nothing can really counterpick this enough to bring Itachi down to normal S tier, there are checks, but checks are only checks. *Sigh* you guys just don't get it do you. Maybe one day we should just DEMONSTRATE all the cheap things and to whereas why people complain about the NUNS series. Its the fact that if these things aren't banned, you get punished for fighting in a fighting game. Btw, seriously? Punishment for them running out of chakra? In NUNS? Seriously? I've run out of chakra MULTIPLE times after ougi and jutsu spam, and EASILY got it back, no matter how hard the opponent tried to keep me pinned down. Chakra dash to me? Whatever I block it. Jutsu me? What ever I block it. Shuriken spam me? I have assists. If I don't have assists, I have my own shuriken/items. You can move, charge chakra, and move again. The opponents CANNOT run out of chakra in NUNS. It is basically just a spam fest of shuriken and jutsu. All we're doing is limiting the things that make combos useless. But if you wanna die to completely unavoidable ougis in the back or w/e, and rage due to doing combos and getting punished for them, be my guest. it just seems like everything you are throwing out is only based on theory, itachi is not impossible to beat, and requires him to have very low hp to even go into awakening, also, there are single m ode tournaments. so even then he doesn't have assists to back him up, 44 wins and 10 losses are what im at, a good 20 itachi's, and ive only lost to the one thad a turbo controller, its not hard, you just get him above that line, then try and finish him in one combo, Theory / = / Game. We would lose an incredible amount of popularity if we said "you can use whoever you want. as long as its not Itachi." well its just, i play no rules all the time with my friend xeltos, and i mean, all the time and on top of that i actually play itachi quite frequently, and not once, have we ever had a match where i won by a landslide, or we werent both close to being dead, including susano'o matches he isn't broken in the game, just on paper, 8tails and 6tails(9tails) are both incredibly harsh and hard to beat as well but you don't see us banning them cuz of their awakenings, you can't just ban itachi cuz his awakening is bad. you have to find a legitimate glitch in his normal playstyle that can cause him to be unfairly unbeatable. but i will test these rules out. Its good that you will try, but really about Itachi... we cannot just simply tell you why he is banned, we have to SHOW you ourselves. When Kooketsu gets money for our shiny new capture card, we will make videos showing you guys the comparison to the rules being in effect, and the rules not being in effect. We will also show you exactly WHY Itachi is banned. (He doesn't win by landslides, its the fact that, if he gets in his awakening, he will SCREW OVER his opponent's health. Like I said though, there is more than just his awakening.) Well here is an example from Narutimate Accel 2, if you know this game: Hiruko Sasori. His poison mode brings up his defense to make him take half damage, He also gets an attack boost, and all his attacks do poison. This alone is enough to make him banned, due to the fact that Poison hurts, poison kills. We've seen matches where one person had hiruko, he just entered poison mode, while the other person had like 85% health (Hiruko needs to be around 30% health to enter his awakening) Hiruko EASILY took the opponent out afterwards. Not to mention he also has other gimmicks that would make all the other characters frown, but I do not need to explain those. Itachi's awakening is not a legitimate flaw, its just something that you guys have thought through hard on and went, "you know, this is really, really hard to avoid", that's not how banning works. and popularity is everything if you do not want 3 people tournaments. on another note, you can KNJ Susano's hits, and ninja move out of the way if you knj the 2nd or 3rd hit, and hit him while he's casting his fireball and doing the 3rd hit, its not that hard. there is no legitimate reason to ban itachi because of his awakening that you can knj and dodge, for 30 seconds. its only 30 seconds! plan ahead what you're going to do! that's it.. all are legitimate flaws in the game that are unavoidable, things that you will lose to due to the fact that they ARE broken, they are literally broken flaws in the game. you also SAID, and screwed yourself over, you've only been playing for a few weeks! that's not NEARLY even close to a fraction of playing long enough to break down and understand a game! that's the length of opinion and misunderstanding! if you want to do these things, you need to atleast have 2 months of experience, and not just playing experience, legitimate moderation experience, and by that, i mean you need to take every little thing of a came, and seriously consider, through results whether it is broken or not. it is a process of MASSIVE amounts of time, and proof, to ban things in a video game for online use. and that's my opinion after going through countless banning processes for multiple games over a period of multiple years. im going to request that this topic be moved to a public and more general position so that everyone can discuss it, not just a couple of mods. this needs to be a public discussion. Who in the world said we were playing it for a few weeks? I certainly did not, it was KATSU that said that. No, we've been playing since Storm 1 came out. Before storm it was the Narutimate accel games. But i'm done with this, obviously you will continue to cling onto this until I give you video proof whereas to everything is banned. This is not the only website we've been to, and everyone discusses and fully tests the things we've banned, everything we ban is unavoidable. But like I said, since words will not convince you, we will give video proof. Woah man, this is a man2man/woman2woman h/e joins polite and smart discussion, no need to get political on me. "Us at Kooketsu have extensively been playing NSUNS2 for a few weeks now"
If there have been plenty of people's opinions on this, there should be no reason to move this to a public area for normal members to discuss this as well. Moved to public area please, this isn't a matter for you and me, it should be considered to the people who will be playing the ruleset, cuz we are not god, we are people just like them. This is why I said I was going to post a video. This is ALSO why I was finished with the discussion until further notice. Just wait for the video to be released. Actually Halabaloo, i'm gonna send you a FR over PSN. I can show you basically everything I am speaking of on NUNS2 if you are willing. My PSN is below my avatar. im actually about to play my friend xeltos, but i can spare 2-3 matches and okay, but are you going to move this thread? No, no need for that, it was moved. This needs to be discussed more publicly, he is right on this. But also need to get you to realize that we made these rules only for the best, Hallabaloo. when we have a discussion like this from now on, we both need to consider both sides, i would have deeply appreciate it if instead of saying "we'll show you, get on" or "we will post a video showing it, its for a good reason"
Ha, no need to go all out and say "you don't deserve to be a mod" over a small discussion. I'll agree that both sides need to be viewed from a standpoint, but when it is completely doubted like that you can't help but show them evidence, otherwise there will be no conclusion. Chea, I didn't want this to be publicly introduced until we all could come to a conclusion because we are the higher-ups on the forums, and most decisions come from us mods/tourney leader/gfx or Shippuden. But if we need the opinion from everyone, then so be it. you can knj 1 hit, block the 2nd, knj the 3rd, block the fireball jutsu, you still have your guard, you can jutsu them (to recover your guard), back dash, and kill time, then repeat when they get to you, and that's exactly what i did, until i forgot to avoid that ameterasu out of my own mistake, a good 5 more seconds and susano'o would have been gone and you're defense, guard and damage woulda been severely reduced. I think he should stay. "When you KNJ out of a combo (front or back) and use the Triangle Button combined with any other button to physically harm your opponent"
so people arent just running in using combo's thinking carefree-esque "oh if they knj it they will just start a combo and i can knj out of that so it will all be fine"
[b]Ougi Clause: i 100% disagree on this, if you don't want to be ougi'd on wake-up, delay you're wake-up, you do not have to put yourself in this situation, and if you don't want to be chakra dashed into an ultra, then block the chakra dash. you have a 100% applicable option to avoid this, and it is not broken in the slightest, if you have a safe and viable way to avoid it. KNJ Cancelling (The newer stated definition [not official]) is banned.